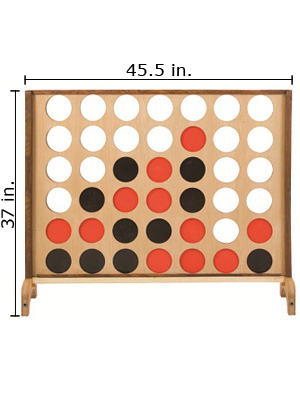 Mega Connect 4 - this waist-high Connect 4 game is a great party starter! Use the giant pieces to get 4 in a row. When the game is over, just slide the bottom wood piece out to get the pieces.